With the controversies and confusion trailing the nomination of candidates for its lone star state of Imo, the ruling All Progressives Congress (APC) has manifested some kind of unserious approach towards its aspiration to win the South East geopolitical zone. A look at the party’s gubernatorial candidates in the zone does not inspire confidence that APC is determined to do competitive electoral battle or effectively challenge the dominance of Peoples Democratic Party (PDP) in the zone. It is a reality that virtually all the APC governorship standard bearers in the zone were until few months ago registered members of PDP. That truth amply demonstrates the fact that APC is a latecomer to Southeast politics. It would therefore be interesting to see how far the party could go in the forthcoming general election with the political turncoats leading the platform to battle. Nothing defines APC’s confused approach to Southeast than a previous attempt to raise a zonal leader. In a show of affected political altruism, embattled governor of Imo State, Owelle Rochas Okorocha, had tried to elevate former President of Senate, Chief Ken Nnamani, at a ceremony in Owerri earlier this year. That attempt was greeted with outrage and allegations of imperialism against Okorocha. 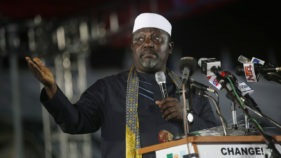 Okorocha, who is also the chairman of Progressive Governors’ Forum, justified his action on the basis that with his clout and acceptability to President Muhammadu Buhari, Nnamani was eminently qualified to serve in the capacity of Southeast APC leader despite the fact that he joined the party after the defeat of PDP. But those who were arrayed in political arms against the Imo State governor criticized the move as unilateral and an attempt by Okorocha to sustain his supremacy battle with the Minister of Science and Technology, Dr. Ogbonnaya Onu. The issue of who among the trio, namely, Okorocha, Onu and the Minister of Labour and Employment, Dr. Chris Ngige, should be recognized as the leader and therefore, the clearing house for Southeast interests in APC, has been at the root of the party’s instability in the zone. On the score of his choice of Nnamani as a better alternative for the position of leadership, Okorocha openly challenged Onu’s loyalists, stressing that if the minister wanted to be accorded similar honour and privilege reserved for Bola Tinubu and Chief Bisi Akande, he should have nominated someone else for the ministerial position. It would therefore not be hard to conclude that Okorocha’s current travails over his attempt to execute his succession plan in Imo, the only state occupied by APC, are the indirect imprints of his long standing fight with other leaders in the zone and his leadership style in Imo State. Okorocha’s attempt to foist his brother-in-law on the party as its gubernatorial candidate has been aggregated as part of the outgoing governor’s political ‘bubuyaya’ in the state. Without due recognition of his foresight and strategic alignment with other legacy platforms to found APC, Okorocha’s political battles on many fronts, including the impeachment gymnastics with his deputy, have combined to diminish whatever innovative ideas his government or membership of the party brought to the state. In the possible attempt to salvage his crumbling political clout and pedestal for future electoral opportunities, including his immediate senatorial and distant presidential ambition, the Imo State governor may be forced back to the negotiation table, because a Senator Hope Uzodinma as gubernatorial candidate does not present, in character and comportment, as a credible option to herald APC in the state. But, one question the leadership of APC has not been able to address is whether the second governorship primary organized after the Ahmed Gulak’s committee’s abracadabra, was actually in line with the public pronouncement of Adams Oshiomhole that the two disparate results from the Gulak committee were fake.The Independent National Electoral Commission (INEC) seems to be dancing to the confusion in its list of Imo State governorship candidates. In one instance, the space for APC was left vacant only for a new list to emerge purporting to have Senator Hope Uzodinma as the party’s standard-bearer. And so, what the situation in Imo might boil down to could be a situation where Okorocha would be asked to suggest a compromise candidate outside Uzodinma and Uche Nwosu, his brother-in-law. And with the fervor of zoning agitation by the Owerri zone, Sir Jude Ejiogu, according to certain calculations, could become the direct beneficiary. Those who know Senator Uzodinma say that fielding him as governorship candidate sounds like a curious joke intended to draw Okorocha to the negotiating table and wean him away from the absurdity of trying to field his son-in-law as his possible successor.The notion is that unless such a possibility is allowed, the ambush laid by some outside interests in APC through the investiture of Senator Ifeanyi Ararume with the governorship candidacy of All Progressives Grand Alliance (APGA) might become the fall back for those opposed to Okorocha. Sources revealed that the emergence of Senator Ararume as APGA gubernatorial flag bearer for Imo State under controversial circumstances had the input of some Presidency influencers who wanted an alternative platform to checkmate the possible mischief of Okorocha in his determination to impose Nwosu on APC. All the above calculations seem to be geared towards making the best of the substitution window, which by INEC notices remains open till November 17 and December 2, 2018. To what extent can the substitution window assist the APC to remedy some defects in its choice of candidates? Against the background of the ultimate fate that befell Senator Shehu Sani in the matter of Kaduna Central Senatorial District, could it be that APC is playing some mind games with Okorocha’s preferred candidate, Nwosu, and Uzodinma or toeing the path of Zamfara to pave way for a nullity and thereby enhancing the chances of Ararume? How far the gamble would go to underscore the agitation for power shift to Owerri zone would be seen, especially in the light of the fact that PDP is fielding the former deputy speaker of House of Representatives, Emeka Ihedioha (Okpu) as its standard bearer. Having seen how far the ruling party has gone to situate Imo for next year’s elections, what the party is offering in the remaining three states would be of equal interest. It should be recalled that despite enormous campaign funding and preponderance of political heavyweights in Anambra State, the party was frightened by the PDP into a hasty electoral bargain with APGA for the governorship seat during the November 2017 election in the state. IN 2015 the Abia State governorship was decided with heavy input of federal might. 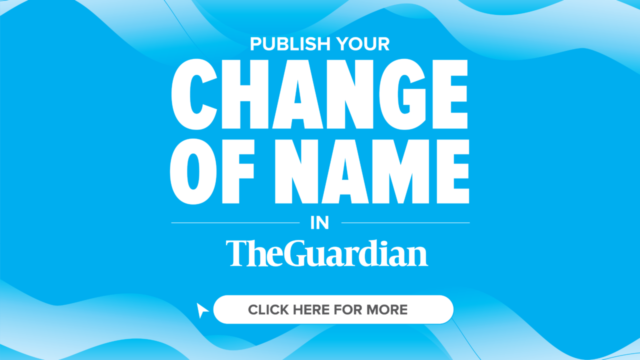 The general belief in the state up to this moment is that but for the intrusion of influential PDP stakeholders, particularly members of the party’s National Working Committee (NWC) from the Southeast, the candidate of All Progressives Grand Alliance (APGA), Dr. Alex Chioma Otti, was favoured to win the election. Yet, after the Independent National Electoral Commission (INEC) had returned Dr. Okezie Ikpeazu of PDP as winner, the pre-election litigation involving Ikpeazu and the runner-up in the party’s governorship primary, Dr. Sampson Uche Ogah, gained traction and threatened to truncate the mandate. But, losing the legal challenge by a hair’s breadth, Ogah moved over to the ruling APC believing that the legendary federal might that usually impact on elections in Southeast would come to his assistance in 2019. By emerging near effortlessly, the governorship standard bearer of APC, Ogah seems to have the understanding of the party’s insiders that what he lost in the botched attempt to make him governor through the instrumentality of the court would be indemnified this time around.However the dynamics of the forthcoming gubernatorial poll in Abia seem not to predispose the state to such easy calculation. Ogah is from Abia North Senatorial District, while the incumbent, Ikpeazu hails from the South. The other governorship contender in the 2015 encounter, Otti, is said to be from Abia North, even though he traces his roots to Ngwa land in Abia South. Unlike the pattern it adopted in the other South East states, APC seemed to have glossed over the dictates of zoning arrangement in the state in its decision to encourage the emergence of Ogah. Despite that oversight, prevailing indicators in the election environment show that the governorship poll on March 2, 2019 would be very competitive. Against the belief in certain quarters that Ogah and Otti would split the bloc votes from Abia North, the strategic consideration by APC to leave Abia South for Ikpeazu and PDP tends to push Ogah to the third position as Otti and the incumbent would contend for Aba, nay Ukwa Ngwa votes.The structure of APC in Abia faced the feeble challenge from Ikechi Emenike faction, which state working committee was spurned by the NWC in preference for the Donatus Nwakpa authentic faction that produced Ogah as gubernatorial candidate. Although the court granted Emenike’s group the relief that a governorship primary should not be organized pending the determination of the substantive suit, it does not seem as if anything tangible would come from that effort, knowing that the parallel congress was overseen by the committee sent from Abuja for that purpose. What is more, given the cold reception APC receives in Southeast, in the ensuing encounter between PDP and APGA, the choice of Ogah makes the situation dicey for the ruling party as its governorship candidate would fly as high as his personal charisma could carry him, and that against the background of a perceived subsisting covert understanding between the Presidency and APGA. Over all, Ogah’s electoral fortune depends to a large extent on how far he harvests the disenchantment within the state against Ikpeazu and his ability to reconcile disparate interests in Abia APC, especially the factional congresses that preceded his emergence.Also, the sentiment is very strong in Southeast that the ruling party, through the Presidency entered into a kind of gentlemanly agreement with PDP governors in the zone to support Buhari’s second term to guarantee them insulation from the onslaught of the federal might through the coercive organs of government during the governorship poll. THE issue of who flies the APC flag in Ebonyi State could be said to be beyond the party. This is because the outcome of the governorship primary is undergoing judicial scrutiny following a suit instituted by the immediate past Secretary to the State Government (SSG), Prof. Bernard Odoh, against APC and three others. Although Senator Sonni Ogbuoji was announced as the winner of the governorship primary in the state, Odoh cried foul, saying that a total of 428 delegates were surreptitiously substituted with fake delegates on a list differing from the one sent from the national headquarters of the party. In the suit No FHC/AI/2018, Odoh joined Domingo Obende (Chairman of Governorship Primary Election Committee), INEC and Senator Sonni Ogbuoji. He prayed the court among other reliefs: “For a declaration that the use of lists or substitution of duly elected lawful delegates for the Ezza South and Ikwo local government and the 31 electoral wards therein in the conduct of APC primaries held on September 30 to October 1, 2018 for the election of governorship candidate for Ebonyi State in 2019 general election is unlawful, arbitrary, undemocratic and contrary to the provisions of the Electoral Act 2010 (as amended), the constitution of APC and the guidelines for the nomination of candidates for the 2019 election, indirect primary. To make matters worse for the party, but straightforward for the court, the 428 delegates cutting across the two local government councils of Ikwo and Ezza South in Ebonyi Central zone, where fake delegates were used deposed to an affidavit vouching that they are the rightful delegates who voted to elect the State Executive members, national chairman of the party and during the primaries that affirmed President Buhari as the presidential candidate of APC. The shortchanged delegates are further contending that they should be declared as the valid delegates and that Odoh was their choice candidate, just as the 1st and 2nd defendants are yet to file their replies to the issues raised by the plaintiff in the originating summon.However, INEC in its reply declined responsibility saying that it is not a necessary party in the matter, even as the commission prayed that it’s name should be struck out from the suit. 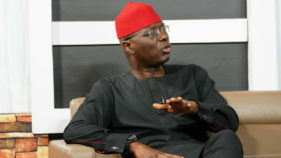 And instead of responding to the crucial issues raised against the use of cloned delegates, Ogbuoji in his reply through his counsel, Mike Odoh, raised three issues, including that Odoh was not given a waiver by APC national leadership to contest for the governorship election, that he didn’t score any vote in the election and lastly that he came second. 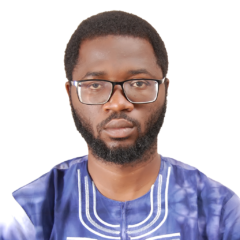 It is not known how the case would ultimately pan out, but from moves being made to pressure the supplanted delegates to abjure their depositions, APC is walking a tight rope in Ebonyi State. IN Enugu as in other South East states, APC is faced with the challenge of reconciling, which between two claimants should lead the electoral battle into governorship seats. There are two factional chairmen of APC in Enugu, as well as two governorship candidates. While Dr. Ben Nwoye claims that Senator Ayogu Eze is the APC governorship candidate for the state, Deacon Okey Ogbodo faction insists that Eze is an impostor, stressing that Mr. George Tagbo Ogara is the authentic gubernatorial candidate for the party. The entrance of the former chairman of Senate Committee on Works into APC sparked concerns in the party as the some of the older members of the party alleged that he was coming to infest the party with violent tendencies and disorder. Eze has continued to claim that he is the best man to defeat the incumbent remarking that Ogara and others opposed to his entry and emergence as APC standardbearer in Enugu State were trying to pave an easy win for Governor Ifeanyi Ugwuanyi and PDP. But despite his claims, in the Nsukka cultural zone from which he hails, the people point to the subsisting zoning arrangement in the state, stressing that since Ugwuanyi is delivering on the mandate given to him by the entire Enugu people, there was “no need to change a winning team.”While the contentious claims between Ogbodo and Nwoye camps continue, the issue of violence and alleged plans by APC to take the governorship seat by force is pitting the party against the people. 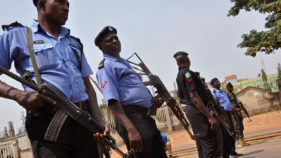 Allusions are being made to clandestine meetings held in the home of a Kogi APC chieftain at Ogwugwu in the Igala area of the state as part of plans to recruit and import political thugs to disrupt the election and create the enabling environment for the federal government to declare a state of emergency in Enugu. 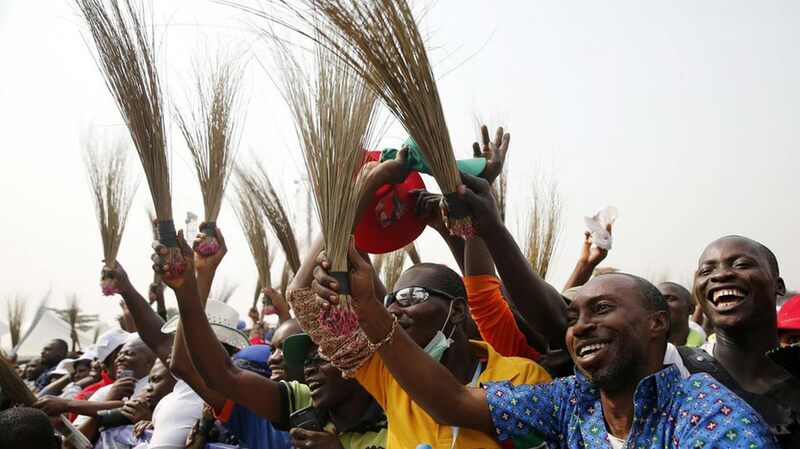 Words making the rounds in the state, particularly in Enugu north Senatorial zone is that APC chieftains have been holding meetings in Anaku and Ugbokolo in neighbouring Anambra and Benue States to unleash may hem in the zone during the March 2, 2019 governorship poll.The choice of candidates and public perception of violence seem to compound the image problem of APC in South East, especially against the background of boasts by some candidate that results of the election have already been written awaiting deployment by federal might. However, there are insinuations in some quarters that what is happening in South East could be traced to external conspiracy by forces outside the zone, whose interest is to ensure that the zone does not perform creditably in the 2019 poll to lay claims to the party’s ticket in 2023.Notwithstanding the lack of effective take over strategy by APC, the decision by the presidential candidate of PDP, Alhaji Atiku Abubakar, to select his running mate in the person of Peter Obi, has further deepened the party’s woes long before the election is held.